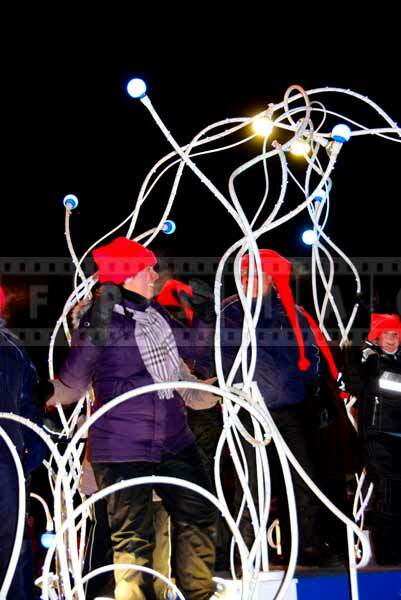 Quebec winter carnival night parade is a celebration of winter in Quebec city, Canada. Quebec city climate is continental with winter temperature staying well below freezing which allows to have lots of winter activities and attractions. This is a perfect weather for ice and snow sculptures and palaces, tobogganing, sleigh rides, dog sledding and much more. 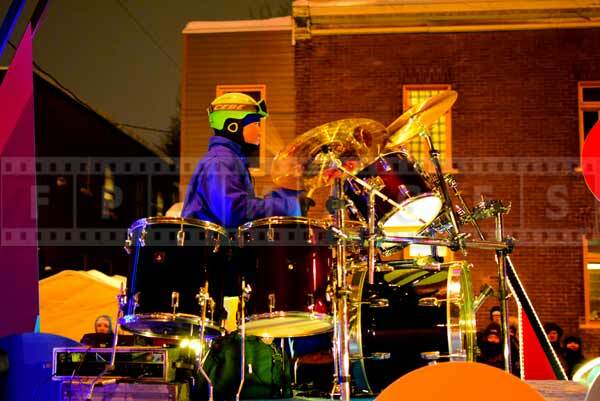 For full list of winter activities visit official Quebec winter carnival site. 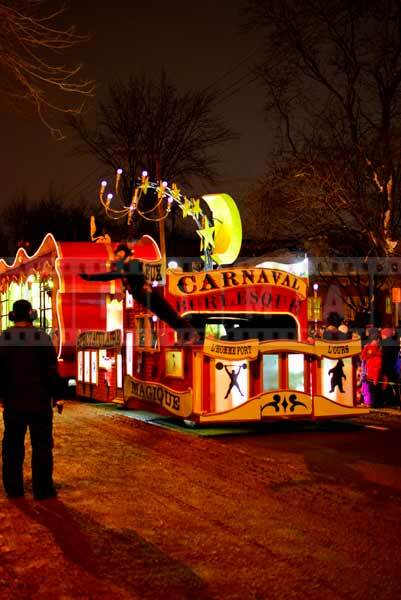 Quebec winter carnival lasts for about two weeks in early February and end around the Valentines. 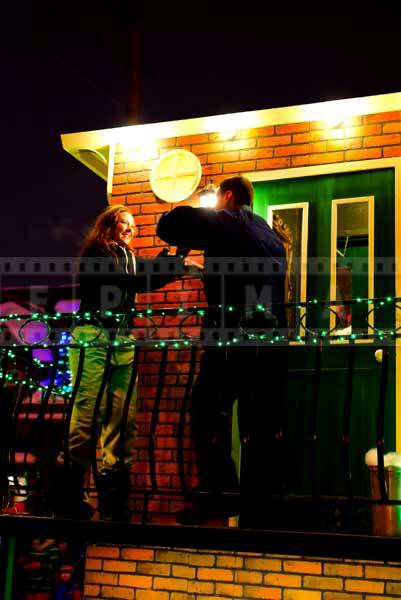 During that time two night parades are held. 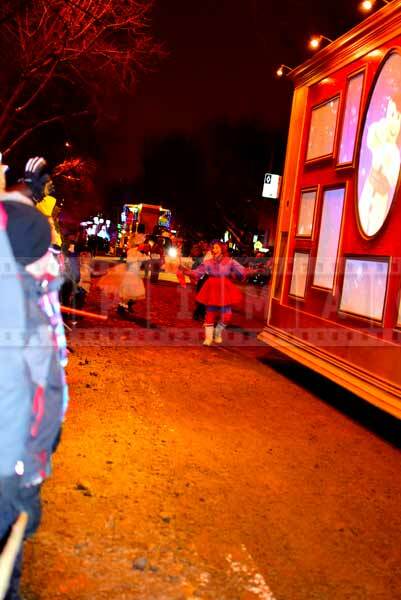 The first Quebec winter carnival night parade takes place in a residential area of Charlesbourg. 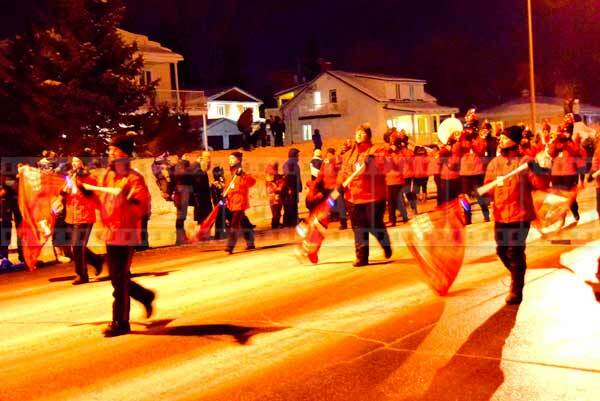 The second night winter parade is closer to downtown it starts at Renee Levesque avenue and then continues to Grande Allee and ends near the Bonhomme’s Ice Palace just outside of old town. 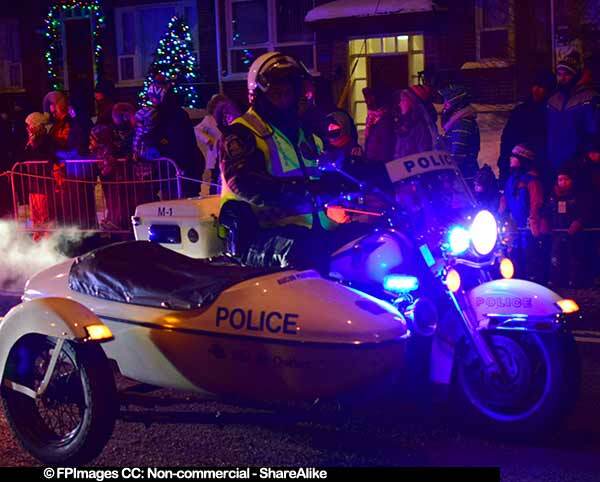 Quebec winter carnival night parade is opened by several police on motorbikes. They drive around slowly with bright flashing lights. 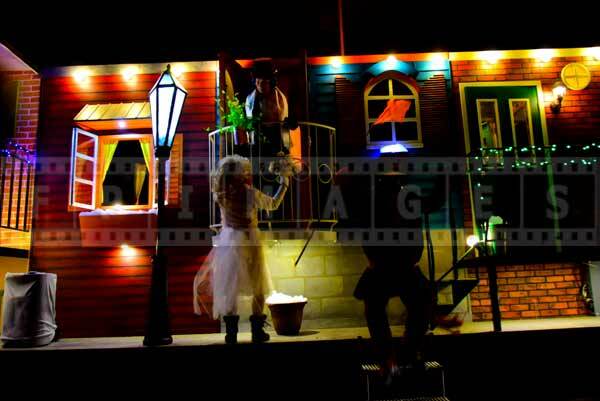 The first float was musical performing popular songs. 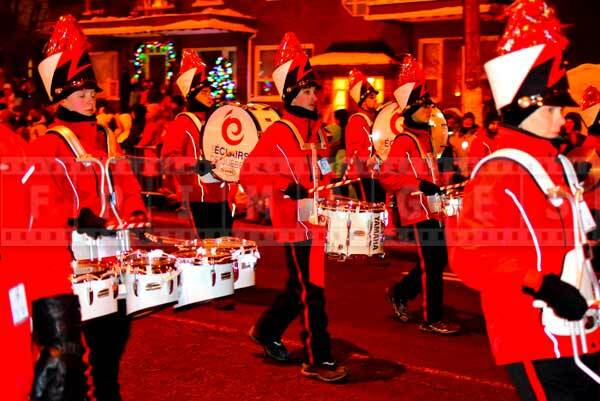 The marching band requires special mention because it is not easy to perform when it is -20C. Musical instruments have special covers to keep hands warm. 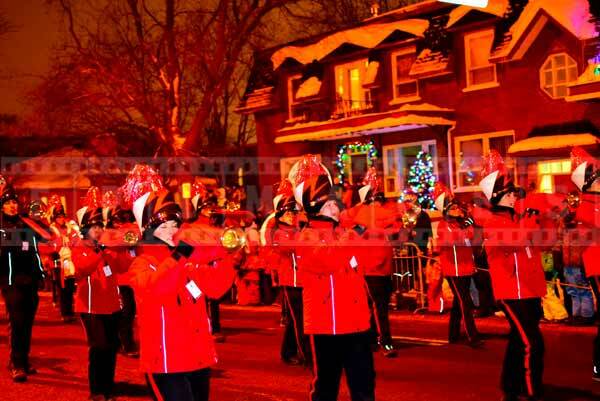 Brass marching band playing in extreme cold. 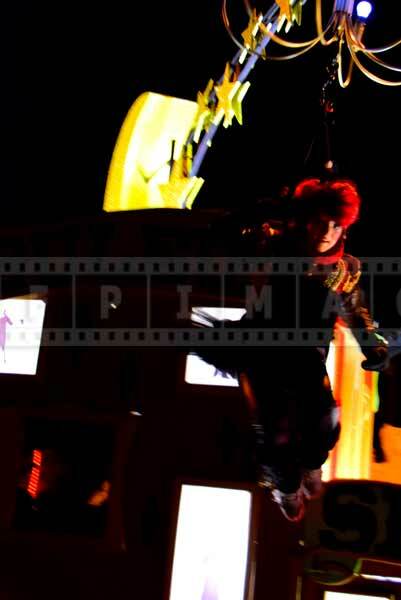 One of the coolest floats at 2015 winter carnival parade was the one with a team performing parkour. 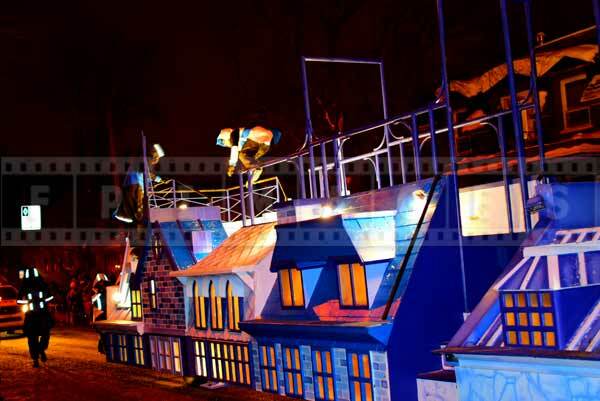 The float was designed to resemble rooftops and had special bars installed so that the team could jump, swing and roll from every possible direction. 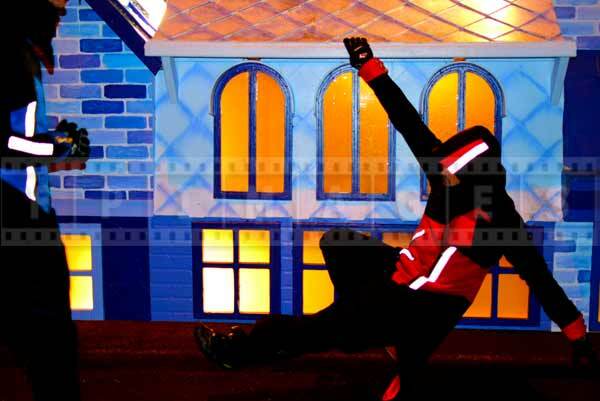 Parkour float wowed the spectators. 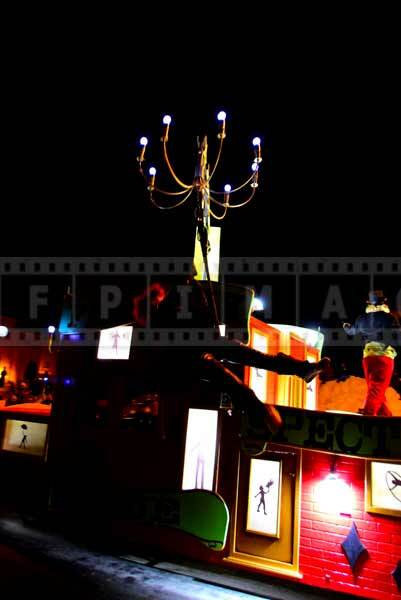 Carnival burlesque and magic show float was amazing. 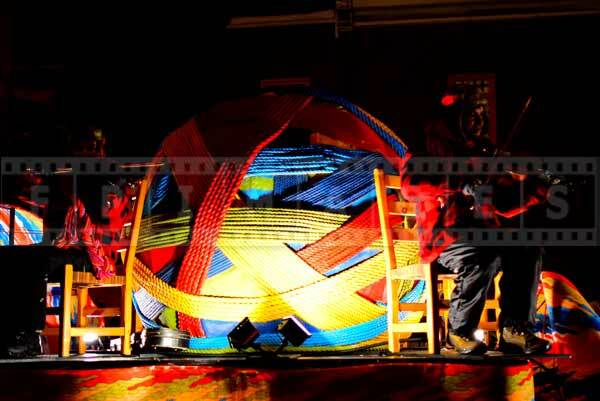 Specially installed gear allowed acrobats to swing around in a harness from one side of the street to another. 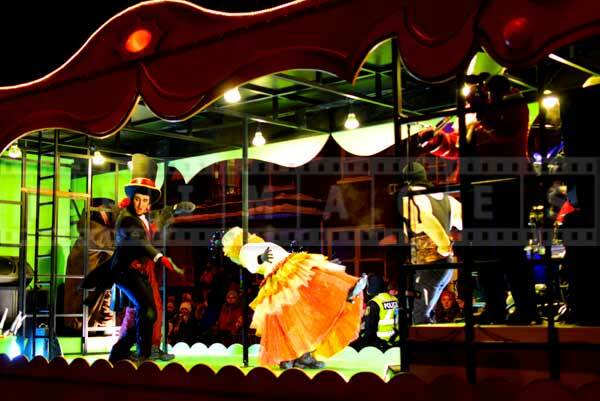 Kids of all ages will enjoy magic show float. Several clowns accompany Bonhomme Carnaval installation. 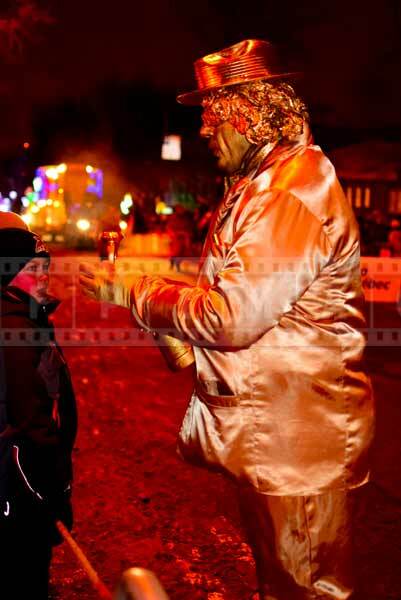 The clowns interact with the crowd and especially children. 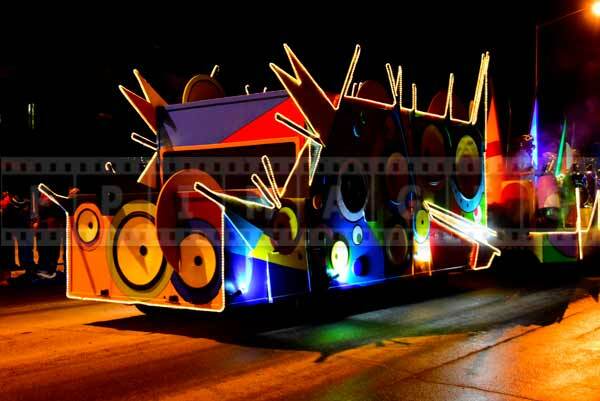 Artists are working hard to make sure that everybody has fun and enjoys this winter carnival parade. 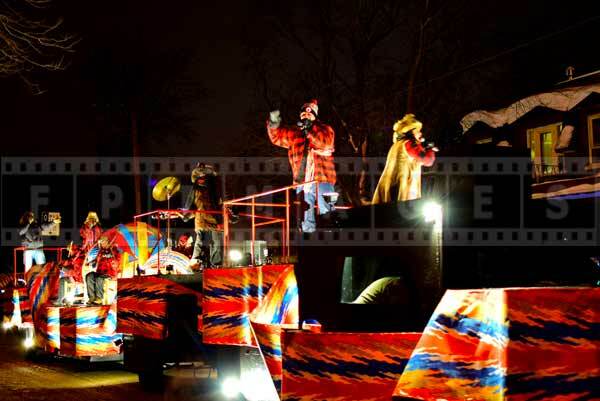 Quebec winter carnival night parade has people dancing to Latin music, flag carriers and flag throwers, lots of live music and well designed and colorful floats. The parade lasts for almost two hours. Travel tip – if you choose to watch the parade near the starting point it may go a little faster and there maybe more space along the street. Please, remember to dress accordingly as you will spend overall close to 3 hours standing in frigid weather.